This article was originaly published on May 3 on the Women’s International Perspective. 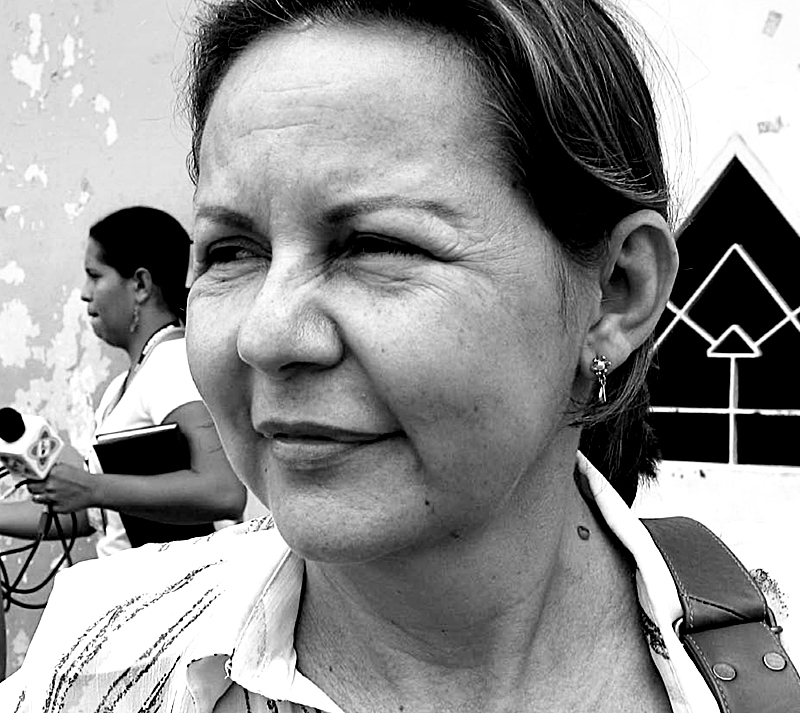 Yolanda Becerra is the director of the Grassroots Women’s Organization (Organización Feminina Popular – OFP), which for the last 40 years has organized, trained and mobilized women from poor areas of the Magdalena Medio region in Colombia’s interior to become human rights defenders and generate self-sufficiency projects. “No Justice? No Peace!” Never has this chant, which I have heard so often at anti-war rallies, felt so real to me as during the last few months observing the ongoing peace negotiations between the Colombian government and the FARC guerrillas. The talks began in October of last year in Oslo, Norway and have continued in Havana ever since. “No Justice? No Peace!” Never has this belief been more real to women peace activists in Colombia, who, despite the fact that not a single woman is at the negotiating table in Havana, are insisting on justice for achieving real and lasting peace in Colombia. 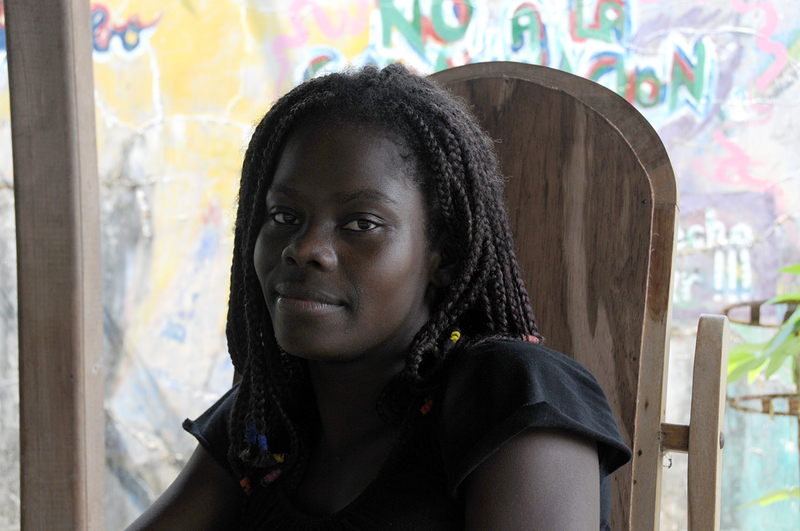 Women peace activists in Colombia are putting their demands for peace into action through grassroots justice initiatives. Colombia’s nearly five decades of internal armed conflict has wreaked havoc on the country, resulting in countless deaths and leading to the internal displacement of between 4.9 and 5.5 million Colombians – over 10 percent of the country’s population. But even the little-known fact that Colombia’s internally displaced population rivals that of Sudan has received more attention than the ways this conflict has affected women. According to a comprehensive survey carried out in 2010 by national and international organizations, six women an hour were victims of sexual violence between 2001 and 2009. Armed groups – both legal (military and police) and illegal (guerrilla and paramilitary) – target women with sexual violence, forced sterilization, torture, strict social control, and other forms of violence in order to exercise power, punish, and to exact revenge on the women or on the men with whom women are close. These practices continue in part because impunity has been the norm in many of these cases. Women’s organizations cite government agencies’ denial of the problem and the fear, shame and threat of retaliation that prevents women from denouncing the crimes. Lack of legal guarantees and little faith in the justice system also perpetuates the violence. 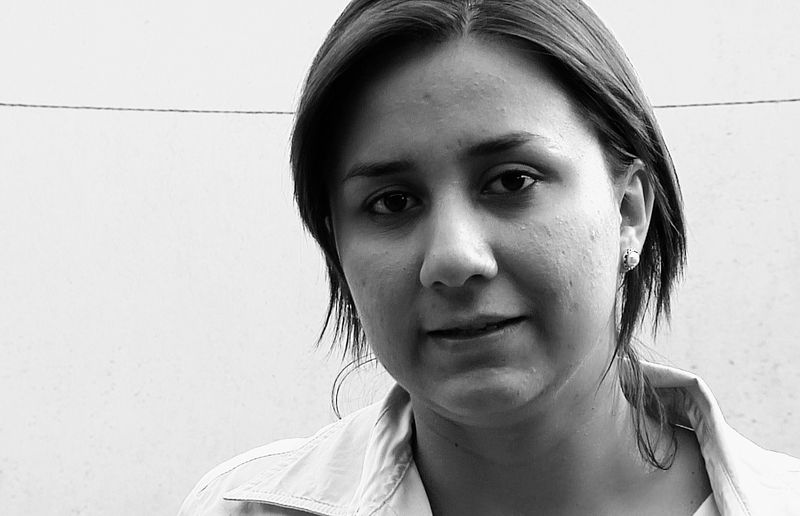 “Women are the ones who have to bear the effects of the war,” explains María Cristina Obregon. While women activists in Colombia hope that the peace negotiations result in a settlement, they know that such an agreement will only be the first step in resolving the country’s nearly fifty years of internal armed conflict. Creating peace in the country requires much more work than signing a piece of paper. That is why women like Yolanda Becerra have been developing women-led peace and justice initiatives since long before the peace talks began. Becerra continues to carry these initiatives out despite the absence of women at the negotiating table or the absence of the conflict’s effect on women as an item on the agenda in Havana. 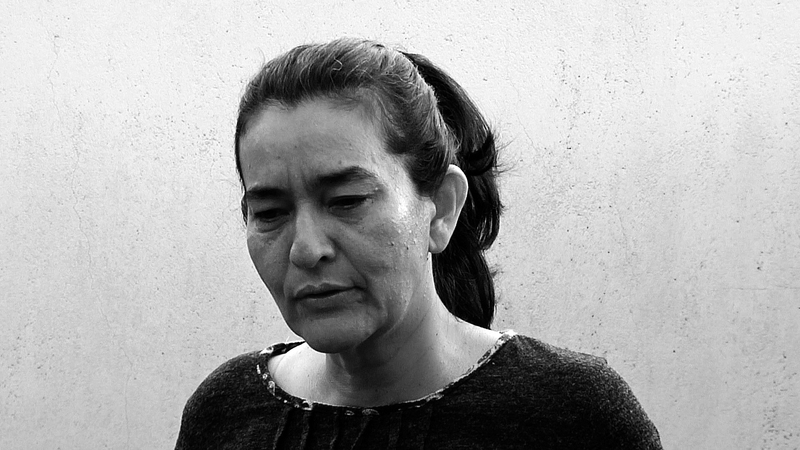 Becerra is the director of the Grassroots Women’s Organization (Organización Feminina Popular – OFP), which for the last 40 years has organized, trained and mobilized women from poor areas of the Magdalena Medio region in Colombia’s interior to become human rights defenders and generate self-sufficiency projects. She is also the coordinator for the Social Movement against War and for Peace, an initiative that women have been building since 1996, first regionally in Magdalena Medio and later expanding to incorporate 40 women’s organizations throughout Colombia. The Courts of Women are public hearings organized by the Social Movement that provide a space for Colombian women affected by violence to speak out about the many forms of violence they have suffered. In addition, women are able to identify the strategies of violence used against them, work together to construct individual and collective memory, and create collective proposals for truth, justice, reparation and guarantees of non-repetition. Unfortunately, this kind of work brings its own risks. Recently, Yolanda Becerra and several other women human rights defenders in the Magdalena Medio region have received threats and been subject to surveillance at their homes, workplaces, and on the street. Many of the threats have specifically cited the work of the women as the reason for the threat. Aristizábal is a co-founder of Peaceful Way of Women (Ruta Pacífica de Mujeres), an organization founded in 1996 by a group of women in the Uraba region in Colombia’s Northwest, who sought to respond to the needs of women in regions particularly impacted by the armed conflict, and to empower women through socio-political education and construction and reconstruction of memory and history. One of the first actions of the initial group of women was to travel to the town of Mutatá (Antioquia Department) to hear testimonies of women victims of the armed conflict. One of the most important moments for the organization and for Aristizábal took place in 2003, when 3,700 women travelled 900 kilometers by bus from Medellin to Putumayo. There, in the region that at the time was the focus of Colombia’s coca crop fumigations, the women demonstrated their solidarity with the women of Putumayo and highlighted the violations of International Humanitarian Law that those women faced. Today, 300 women’s organizations throughout the country participate in the Peaceful Way. The group has had important achievements, not just in terms of raising awareness about the situation of women in the armed conflict but also through important legal advances. In 2008, for example, the Constitutional Court issued Writ of Protection 092 (Auto 092), in which the Court highlighted the particular violence and challenges that displaced women face in Colombia, and called on the State to fulfill its obligation to prevent the disproportionate displacement of women and to ensure the full guarantee of rights for displaced women. Later that year, the Colombian Congress passed Law 1257, which recognizes the situation of violence against women due to the armed conflict and dictates measures the State must take to raise awareness, prevent, and sanction violence and discrimination against women. Women like Becerra, Aristizábal and Salazar are doing just that: refusing to believe that the world can’t be changed for the better, and refusing to let the peace that may be coming to Colombia be a peace without justice. After having spent over two years in Colombia as a Human Rights Observer, Moira Birss now serves as the Colombian Project Representative in Washington for Peace Brigades International.